The XenMobile Server is, just like the old App Controller, an Unix appliance running on XenServer, Hyper-V or a VMWare hypervisor. Because it’s now one component you need 50% less resources then in previous versions and it is much faster to implement (see blog below). And in addition to this you have one Administrator console for both MDM and MAM. 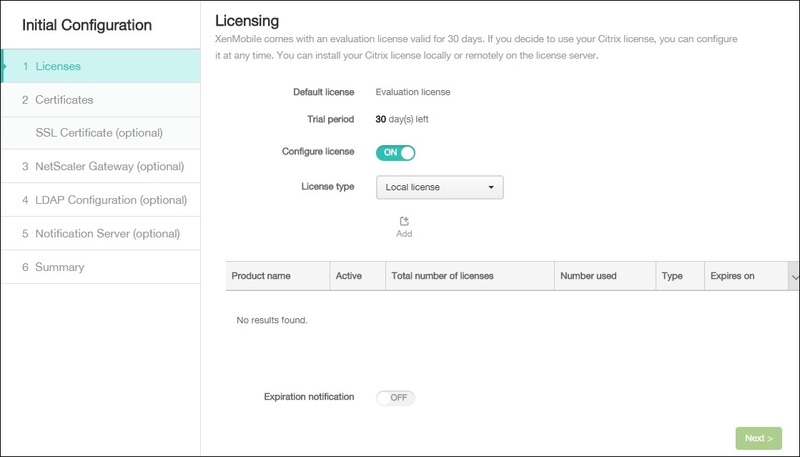 I will show you to setup Citrix XenMobile 10 in a few steps, including the NetScaler configuration. But for I begin, lets talk about the XenMobile 10 requirements. For publishing applications you need some more requirements, but I will talk about that in an others blog. After uploading the Citrix XenMobile appliance to the hypervisor, start the virtual machine and open the command window. 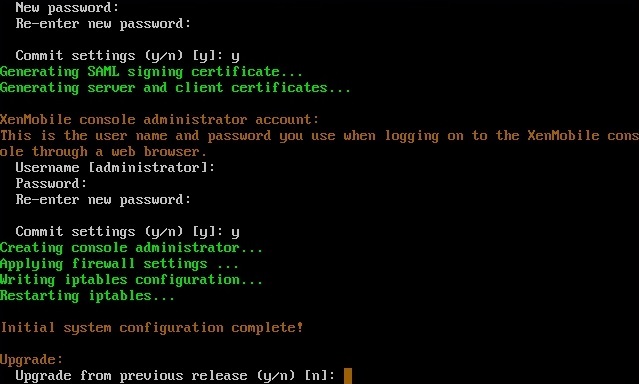 Enter a new password for the command line admin account, this is another account than the Webinterface Administrator. Enter the XenMobile Server FQDN, this must be the external MDM address. In my case mdm.robinhobo.com and press enter. Press Y to commit. Now you have the option the change the default ports. If you don’t want to change the default ports. Hit the enter button four times and press y to commit the settings. Open a browser and open the URL from previous step. 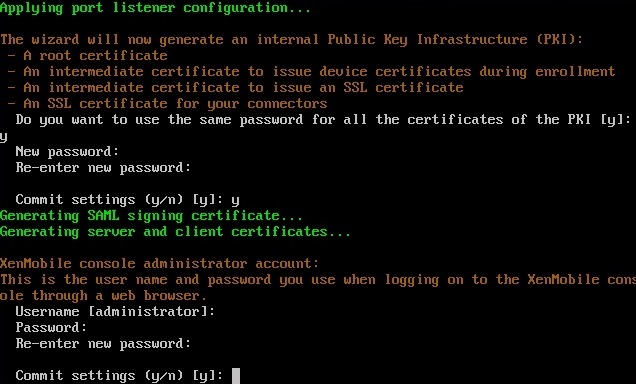 Login with the configured administrator account. The next step is to upload the certificates. 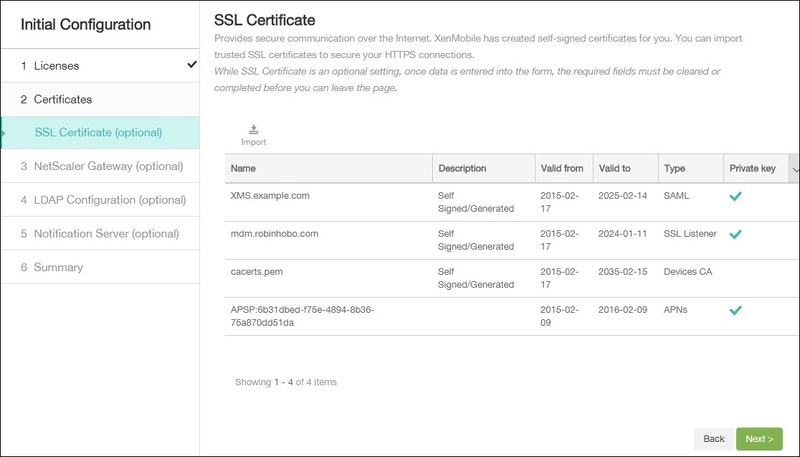 If you are going to manage iOS devices you need to upload a APNS certificate beside a SSL Listener certificate. Click on the Import button. 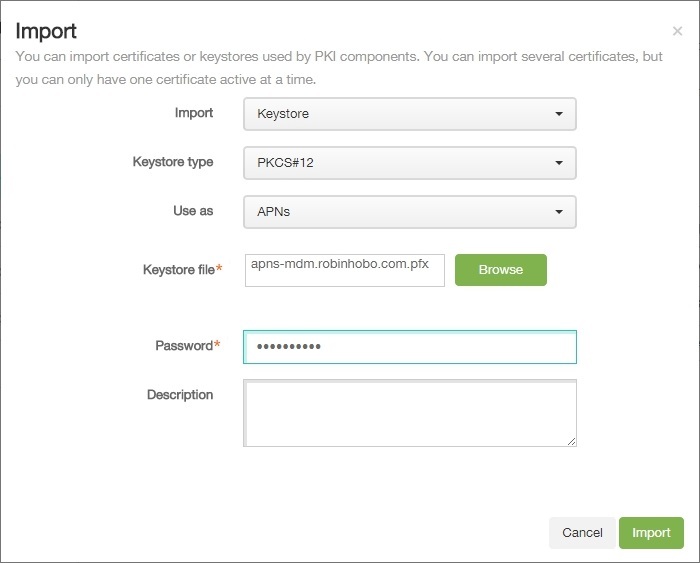 Browse to the Keystore file (APNS .pfx file) and fill in the Password. Browse to the Keystore file (SSL .pfx file) and fill in the Password. 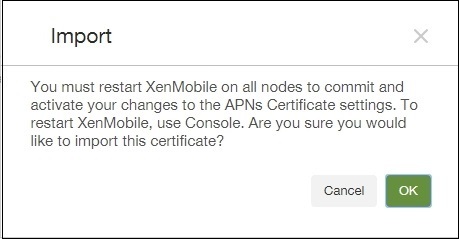 Restart the Citrix XenMobile server so the certificates will be become active. 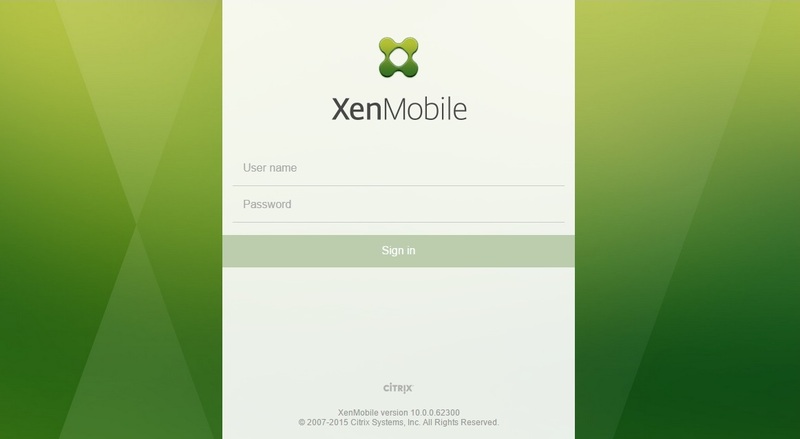 The Citrix XenMobile server is now in basic configured. At this point you can start configure Deployment Groups, Policies, Actions and Applications. 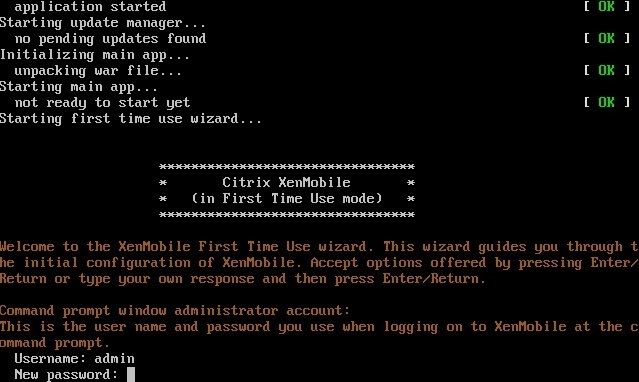 Since Citrix NetScaler 10.5 build 54.9 there is a Citrix XenMobile 10 wizard available. This wizard will create a Gateway virtual server for MAM, a Load Balancer for MDM and a Load Balancer for MAM. Therefor you need a NetScaler Standard or higher. In the following steps I will guide your through the wizard. I assume that the SSL certificates are already installed on the NetScaler. Great blog. Was awaiting for XM 10 installation. Have you ever used regular Standard SSL certificates for both the Netscaler and App/MDM Appliance? 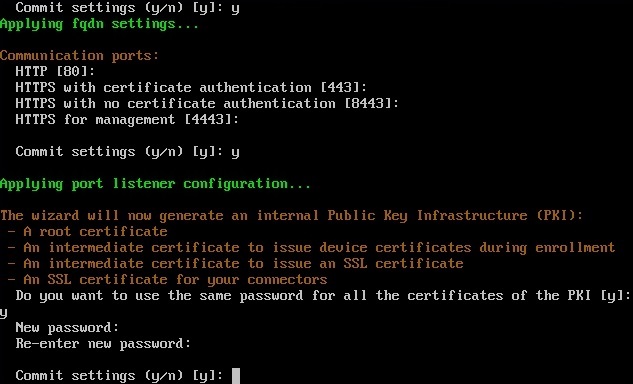 Then use wildcard cert for you internal domain when they don’t match up? When your external domain doesn’t match your internal domain what do you name the App/MDM appliance FQDN external or FQDN internal? Hi Colby, the XMS server should always have the external hostname. 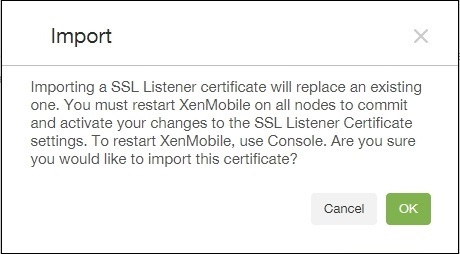 The external SSL cert (for MDM address) must be installed on the XenMobile Server (can be a non-wildcard cert) when configuring SSL Bridge on the NetScaler. Thanks Robin, looking forward to your DuCUG Bring Your Own Session!. Disappointing to see that NetScaler E releases are not supported because these are still pre 54 firmware level. Thanks for this Robin, it was very helpful. In your setup, did you hook the XMS to Storefront? Are you able to enumerate your XenApp/XenDesktop applications and desktop through the Worx Store? Everything worked fine for us except that we can’t see any of our Xenapp Apps or Desktops in the Worx Store. We only see mobile Apps like WorxWeb and WorxEdit. First of all did you configure the relative path including the config.xml? Within XenMobile 10 at the support tools page you can view the DebugLog and search for PNAgent to find more information about your problem. Hope this will help you. Please let me know. According to the IP addresses that you put in the XenMobile 10 installation article, as we should configure the firewall port redirects? Does the external address of MDM and MAM should be appointed to which the IP of ?DMZ . MDM to the MDM LB IP, MAM to the MAM Gateway IP. Have you managed to create a Microsoft SQL Server database with a named instance? It seems like a pretty straight forward and common thing to do, but I am yet to find any documentation on how to do it. I have a support call open with Citrix, but the 1st line support agent I spoke to only knew how to create a SQL Server database to a default instance. I’m waiting for them to get back to me. Hi Stephen, never setup a SQL database when using an instance. But today I did. Configured a SQL 2014 server with an instance. I was not able to setup the database no matter how, tried several ways but none were successful. Seems like a bug to me. Hi Stephan, it seems to work if you configure a port number on your SQL instance and configure that port number during the XMS setup. Hi Francesco, sounds like a configuration / connection problem. If you open the support page within the XenMobile 10 console you can do some connectivity checks (also for the NetScaler) to see if there are any problems. “monitorname is not resolved by configured DNS servers.” .can you help me? You can add the DNS Record manually on the NetScaler. Although its strange it can not resolve by the DNS server. What is the DNS server status on the NetScaler? Is it online? Did you ever work this out? ive just got the same error from both NS and XM consoles, its effectively allows me to enroll and yet i receive an error on the client device. Looking at the NS config its looks okay, nothing obvious. The DNS is seen because part of the test is DNS lookup and that gets a green tick. Thanks for the response Robin! The PNAgent URL is valid for sure – I have tested it and the logs show the correct URL. The problem seems to be when the MDM goes to Storefront to enumerate the apps. I have storefront 2.6. P.S. In all fairness to you Robin, I want to let you know that I have had a case (68862733) open with Citrix Support since the 23rd of February. I see that it was escalated on Friday. Wondering what is so unique about our environment that we can’t seem to get it working. 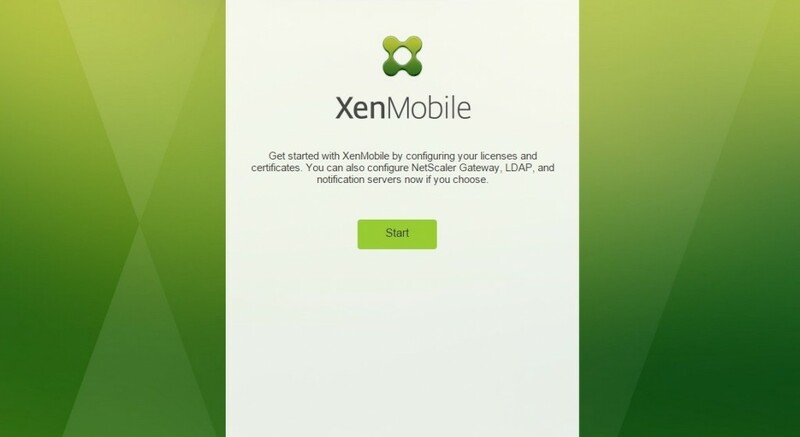 We had Xenmobile 9 working no problem – except for the fact that it was Xenmobile 9 and the server consolidation and other features of 10 seem attractive. It says BadCredentails.. can it be a UPN / SAM account name issue? XenMobile is by default UPN, how are the LDAP policies for the Gateway (for StoreFront) configured? Same issue here. Do you have some News from Citrix Support? as there is no other MonitorName in the nsconf file, this can just be a bug in the checking routine. I believe it is a UPN/SAM issue, I have the MDM set for UPN, but it keeps passing the SAMAccountName to Storefront. In addition, all of my netscaler Auth/LDAP policies are UPN, and they work fine against storefront. We are a CSP, so we do everything UPN. Thanks for the nice guide. My problem: After enroll the device I have only a blank screen with the icon ‘worx store’, when I click: ‘Please contact support for access to your apps.” You know why? Hi Frank, That is probably a wrong mam fqdn within the NetScaler configuration or a wrong NetScaler Gateway configuration within XMS. My problem was not caused by a misconfiguration, but other configurations, operating and active on NetScaler. Starting with a clean NetScaler is fine with no errors. Thanks again for guide. I want to clean install the NetScaler again, but this blog http://www.mauricio-schaepers.de/?p=60 on step number 82 tells additional configuration on NetScaler, can you confirm about this? Hi Dwianto, no never did that step, never needed to. Thanx for this guide. Your blog is the best for Citrix guides! congrats!! Just curious Robin – is yours working with SF? I was informed by Citrix today that I am not the only one reporting this error. Still no solution. It is getting escalated again tomorrow. I got a message on my worxhome when I try to connect to XMD through Netscaler: the server certificate is not trusted. I checked all the guide on the net, but none of them worked. Could you help me? Hi Steve, did you also linked the Root CA to the Gateway on the NetScaler? I have an other problem,too. If I configure netscaler url (netscaler VIP address,) in XMS, I cannot reach worxstore in Worx home. If I remove the entry, everything is fine. Hi Steve, You have to configure the external MAM address and not the NetScaler VIP address. nice Article, but I have a few questions. Do I still necessarily need two external adresses for MAM and MDM? I hoped because of the server consolidation all the connections could go over one address. 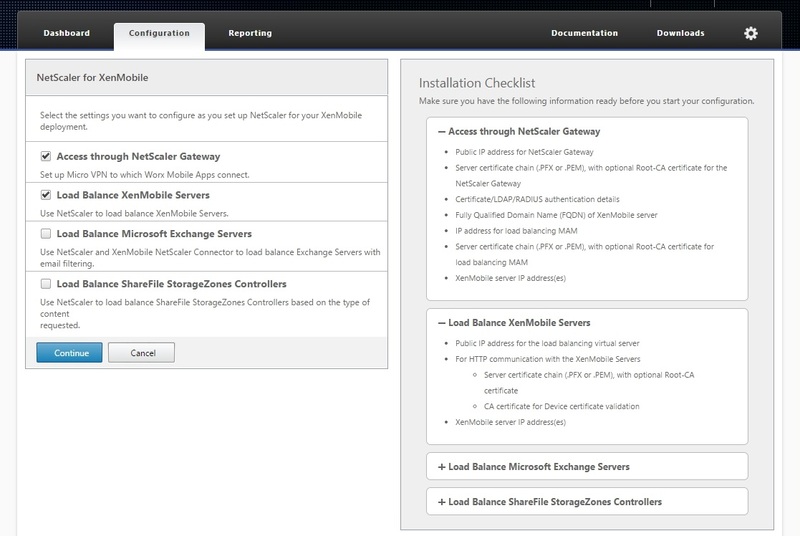 And if I only use one XenMobile Server, do I have to configure a Load Balancer in NetScaler? Hi Flo, by default you need two public addresses. However if you are good in creating content switching servers on the NetScaler you can give it a try to let it work with only one public IP address. And for your second question, no you don’t need the load balancer for XenMobile to work, however, if you want to use the XenMobile 10 wizard on the NetScaler you need it. There is no way to skip that step. Thanks, looks like a great guide. Waiting for their upgrade utility to come out later this month before upgrading. Your blog is great though and a good resource. Maybe you could post an upgrade guide when the upgrade utility is released? Hi Paul, have it working in my environment. More people seems to have this problem (see other comments under this blog). I did not used the wizard for setting up the XenApp/XenDesktop environment. Perhaps its a wizard thing? Did you used the wizard? That’s strange, works fine here. Which version of the NetScaler you are using? Quick question! 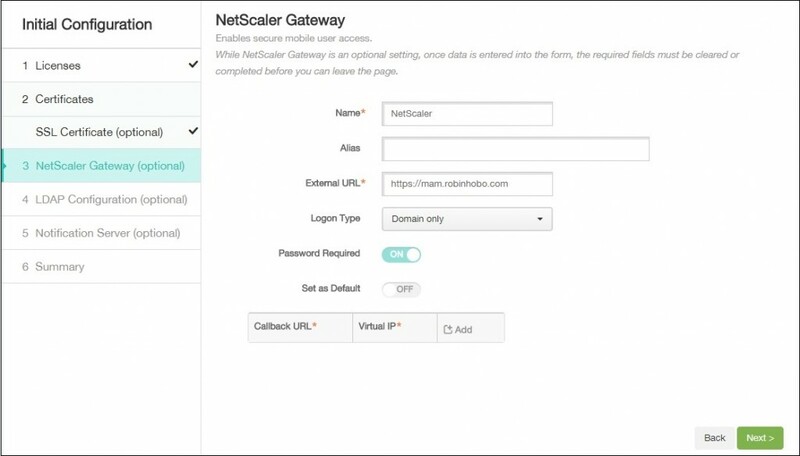 On the Netscaler XenMobile Settings, I put in my mdm address in the load balancing FQDN for MAM, but for the load balancing IP address field, is that just the IP of mdm.robinhobo.com? or is another free IP in the DMZ? It must be a free IP address in the DMZ. The part with the MDM-load balancer was truely tricky. Was the part were I always stucked and nothing worked correctly afterwards. Hi Sascha, Yes that is correct. Got the same error message when opening the MAM address with a browser. Checked this by Citrix but this is by design. Hi Guys, as Robin mentioned this is by design, as citrix change MAM part and is not anymore possible to access applications via web content. This was announced by Citrix. We have many customers which complained this, as they would like to us it as before. Answer from CTX SE was….. working on it, it should be available for CTX receiver NX1. Maybe you can help me out. 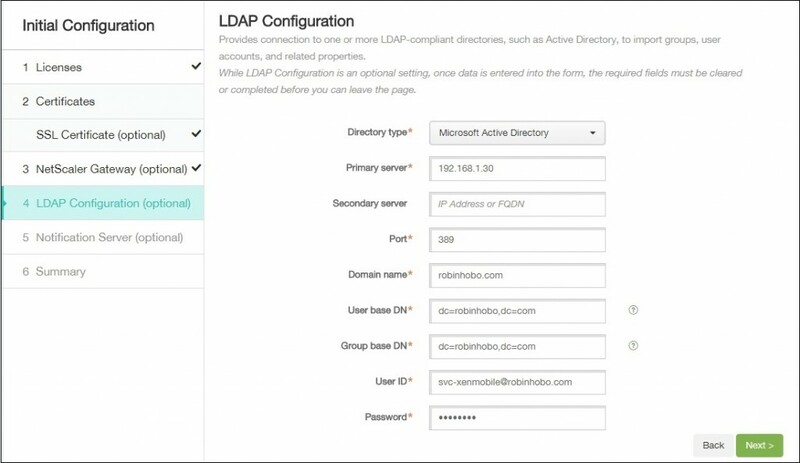 I configured ldap but i am unable to login in Worx using my AD credentials. I was able to add my XenMobile AD user group as a delivery group, so i know it’s connecting to my AD. However, when I try to login with my domain credentials I am denied. My ldap is set to search by upn. any thoughts on what i should check would be great. FYI – switching teh LDAP config to use SamAccount instead of UPN fixed that. I can authenticate using AD credentials. With XM10.0, Is it possible to place XMS servers with in the corporate network and have Netscaler front end the external connections? Can you please point me to Citrix article or blog relating to that? Hi Matheen, yes you can. Make sure when you do that, you open all the required ports on the firewall. Thank you so much. Citrix documentation seems decent for MDM or MAM, but not both together, especially when Netscaler is involved. I have been trying on and off for the past couple months to get this to work. I was about to break down and open a case with Citrix when I came across your blog. Everything is working great now. Also, as a future request, would you consider doing some architecture documents that highlights the data flows that are required to fully enrol and deliver applications to an endpoint device? 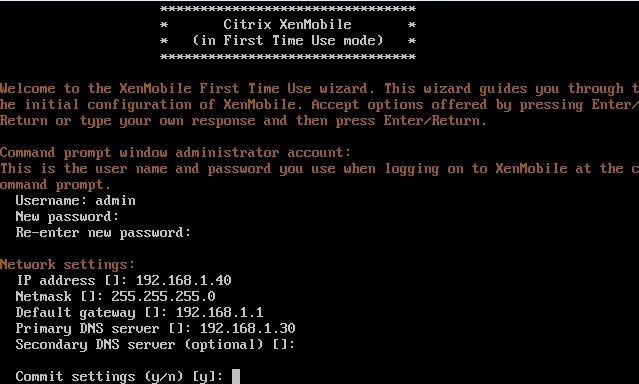 Hi, you can check your gateway configuration within the XenMobile configuration. Also make sure the NetScaler configuration is correct. Are the DNS records created to the XMS? Thank you Robin for this guide. I can now open my store but can not see any MDX-Apps. If I create a WebLink, I can see it in the Store. Any Ideas where I should start my search? Hi Jon, make your are member of the AD security group you are publishing the application too (delivery group). So Robin, you are saying to get both MDM and XenDesktop/App (storefront) working together you would run the wizard for the MDM and then add the storefront integration manually? Sounds like an opportunity for a great combo article. 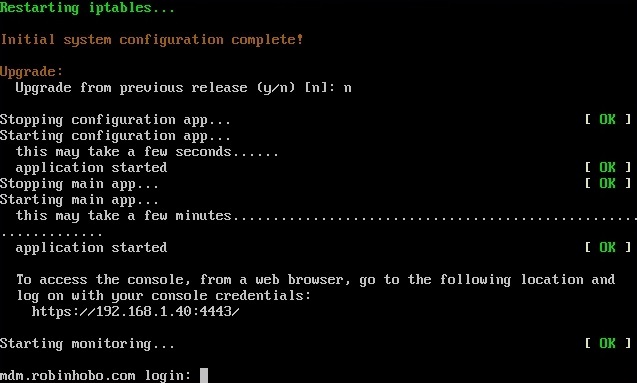 Opening mdm.myfancydomain.com reveals the XenMobile web console (with port 4443 for the admin login). But, opening mam.myfancydomain.com reveals NetScaler login page which is different from the NetScaler VPX that we use for this demo and we cannot login using nsroot/nsroot account. 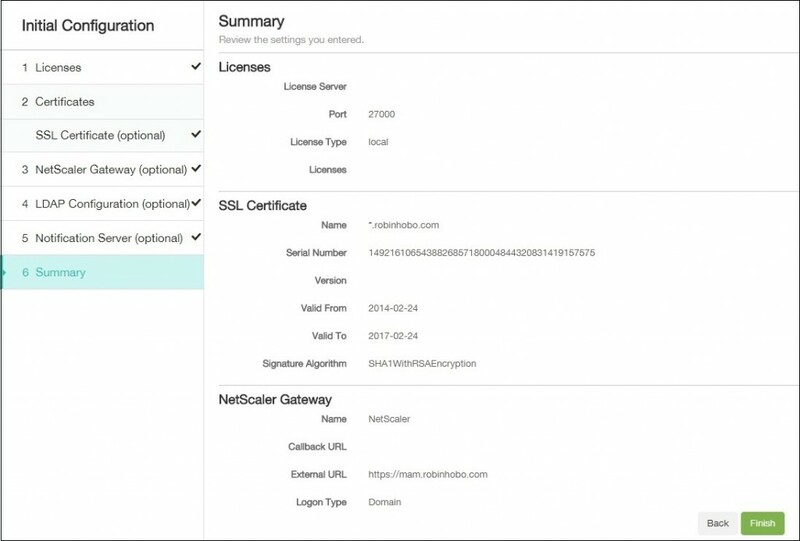 What does actually that NetScaler login purpose for? And what should i use to login for that? Hi Dwianto, nothing 🙂 It’s just a NetScaler Gateway used for XenMobile and not for any browser, so you can ignor any errors on that one. I see … Thank you for the reply. thanks for your guide, it’s very helpful! I have allready installed XenMobile and I have to integrate NetScaler. I have a quick question for you: why do you need two public IP address? 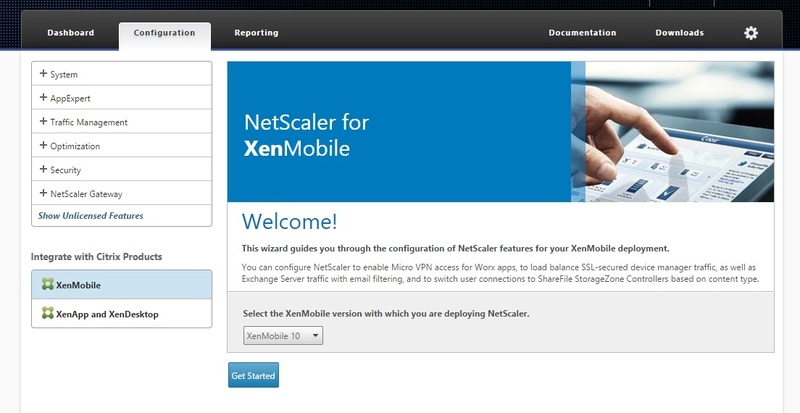 Why is not enough NetScaler in order to access to XenMobile through it? Hi Silvia, you need one for MDM and one for MAM if using the Advanced or Enterprise edition. 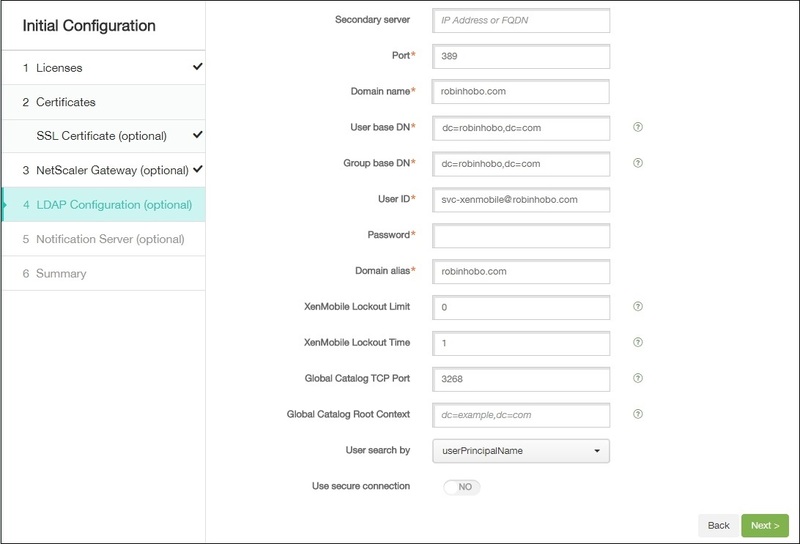 Is it possible to build an PoC of XenMobile with NetScaler gateway with one Public IP? Changing the MAM port on NetScaler? Technically, Yes. But it’s not supported by Citrix. Looking at the following CTX article http://support.citrix.com/article/CTX200430, I am not sure why there needs a entry to be created for an ADNS record to be created which is the same IP address as the Netscaler VIP for the MAM load balance entry. 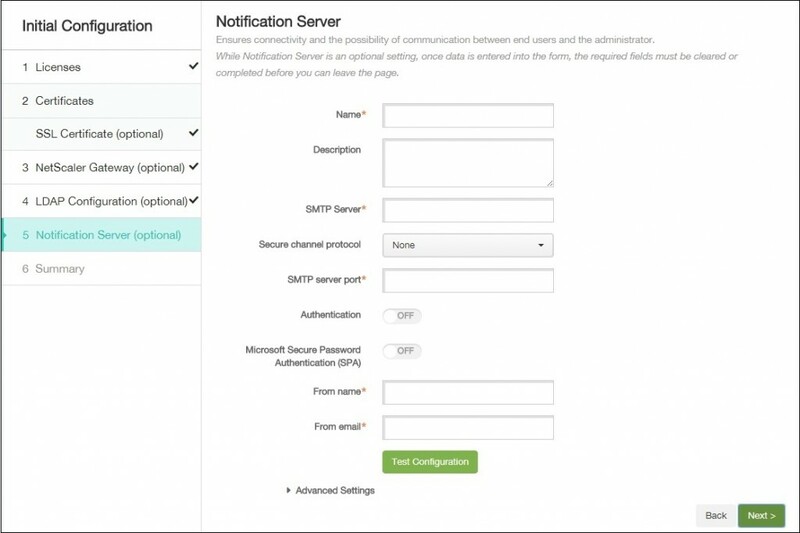 this value is vital to ensure the NetScaler Gateway virtual server contacts the MAM load balancing virtual server (internally) and decide which XenMobile Server node to contact. The DNS record value points to the MAM load balancing virtual server (listening on 8443). This DNS record is not applicable for MDM traffic (for example, enrollment, application/policies push, and so on). Can you provide an onsite on this? Yes, it has to do with the SSL Listener. Robin, when defining firewall rules, does external traffic only go to the NetScaler LB VIP(s) or does traffic go to the XMS as well? the flow from the internal WAN, does all traffic flow back to the XMS or does it go to the LB VIP(s) as well? All data will be through the NetScaler and not to the NetScaler directly. Outside traffic will be from the XenMobile server directly to the internet. Is it possible to install Xenmobile 10 with Microsoft ISA Server instead of Citrix Netscaler? Hi Juan, You don’t even need a NetScaler for MDM, when using MAM mVPN you need a NetScaler. Technically for LB (which is optional) you can use anything you want, but remember that this is not supported by Citrix (Only NetScaler is supported). Ok, so I will change the ISA Servers for a NetScaler. Do you have experience that, when test send a ad-hoc notification via worx home. the admin console shows that “no valid phone number, e-mail or worx home token for the device”? , other thing ex. remote wipe or revoke all ok.
No. But it seems that you are using a template where SMS and Mail are enabled. Can you check it that is the case? Thank you! Its a very good document. Do you have any estimates on how long to do the install and configuration. Considering everything is ok with hardware and networks. Hi James, It always depends on customer needs, but the very basic install and config can be done in one day. i have a question for you; I have only 1 Public IP Address. How can i solve this? is there a guide with net scaler single point access?? Big fan of your work! Have a question for you. Is mam.robinhobo.com your NetScaler Gateway FQDN? You mention at the top of this thread that you have 2 public DNS records – 1 for MAM, 1 for MDM. Are you excluding the NetScaler Gateway DNS record here? So, in theory, you should have 3 total external DNS records – 1 for NSG, 1 for MAM, 1 for MDM? All VIPs should be public facing correct? All are NAT through the firewall, with internal and external DNS records. Enrollment is always on the MDM address. Is apps.domain.com for StoreFront apps? Hi Rob, the external MAM address will be forwarded (NAT) to the Gateway IP address. So for MDM and MAM you need two external IP address. Q. for MDM only how many DMZ IP I will need and can check only LB configuration on Netscaler. Hi Mustafa, it depends on your setup. If your XMS is in the DMZ (recommended) you need one DMZ for every XMS server. If you are load balancing you need another IP for the LB address. An Gateway is only used for MAM and is not needed for MDM only implementations. Thanks, we will use SSL bridge and LB. this answered my question. 2. 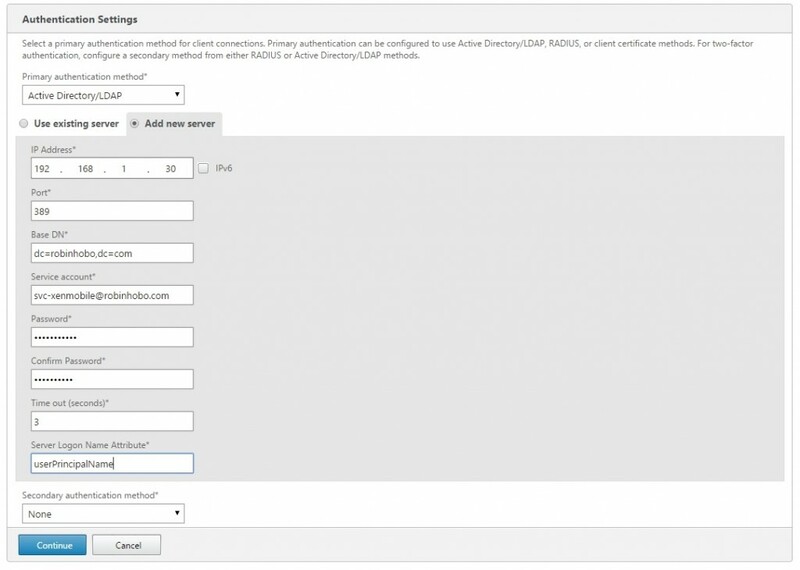 External DNS record, mdm.domain.com. 4. On my NetScaler, I ran the wizard exactly the same way you did, in XenMobile FQDN, I put in the hostname of my XMS Server. 5. 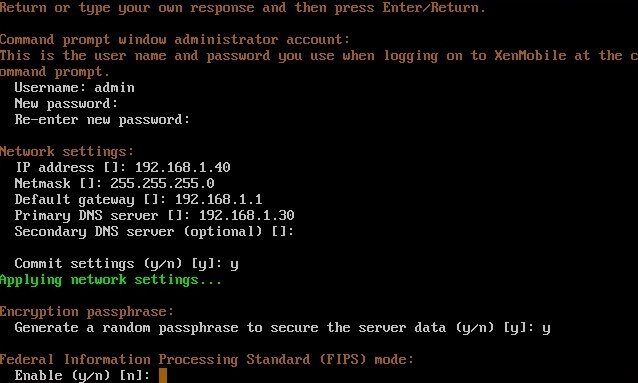 SSH into my NS, to make sure I was able to ping and resolve my XMS Server, which it did work. 6. Went into my XMS Server to ping my mam.domain.com (NetScaler Gateway IP) and it did work just fine. My problem is when I try to do the enrollment, it does not work externally trough the NetScaler (mdm.domain.com). It does work internally, meaning by if my mobile device is connected via WIFI to my internal network. If I connect using a browser, I hit the interface, put in my username and password and then I get the 403 error, which is fine, as far as I know this is by design. Now, if I try with the Worx app, put in my mdm.domain.com, put in my username and password and then I get Request Failed. By the way, when I click on my Enrollment notification from my mobile device, it opens the mdm.domain.com/zdm……. and I get the error could not connect to the server. Is port 8443 open for external connections to the NS MDM LB? Excellent write-up! Has anyone seen or know why I am getting “Security policy does not allow you to connect.” after entering my credentials within the Worx app? Is this an Android of iPhone device? Good place to possibly start is here where they are talking about SSL_Offload configuration. Great write up Robin. We did this build for our POC but seems like we can’t hit https://mdm.ourcompany.com/zdm/enroll from external. Err_Connection_Refused and confirmed firewall is passing to Netscaler. Used the wizard for netscaler. Able to authenticate to the XDM and get into WorxHome but profile and certificates don’t load. Inside works but security keeps iDevices outside so we need external Enrollment. Disregard the previous comment. I was running this setup with a single external IP rather than two, one for MDM and one for MAM. Joe – I am trying to get this setup with a single IP for my home lab environment as well. Would you mind sharing your config and how you got this to work with content switching? You can send me a private email at: laurenm.dunnevant@gmail.com Thanks!! Robin, have you seen a way to reboot the XMS from the GUI? Just a side question, great write up once again. Thanks Carla. For a reboot you have to logon to the console (on your hypervisor). The webinterface of XenMobile 10.x does not have a option to reboot te server at this moment. Robin nice job. Really good article. I have a question that i think you can answer. I have the checklist document for deployment from citrix, but im confused on the “netscaler gateway ip/MAM Gateway” portion of wizard. here is a visio screenshot of my setup. nowhere in that document does it talk about a mam gateway ip like the wizard is asking for. So my question is, what firewall rules do i need besides whats already setup in that screenshot? Hi James, I know that document. In that document only the MAM Gateway must be filled in. What is missing is the MAM LB but that does not have any influence on your firewall configuration. Ah ok, so that MAM VIP that it wants in that document is actually the MAM gateway in your steps above. And the MAM LB does not need any external access? something strange that is happening now. when im enrolling a ios device with the xmdm.company.com address as the mdm server name. “Profile installation failed” -“a network error has occured”. The enrollment fqdn is the xmdm.company.com —natted to—> the mdm LB vserver ending in .7 in that diagram i posted earlier. 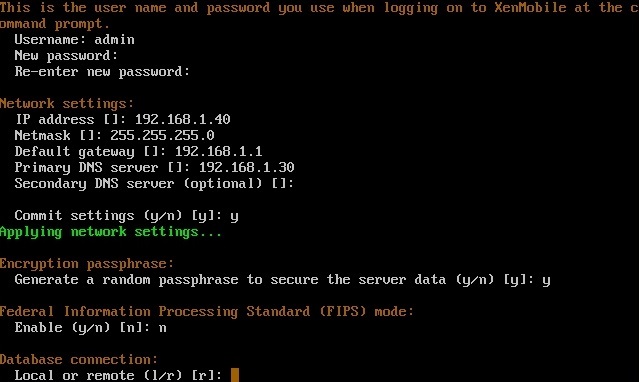 What do they mean by the XMS Server FQDN? internally the fqdn of the xms server appliance is xmsserver , its not domain joined. do you know of a diagram or document thats explains this in a less confusing manner. Also im not sure if this matters but the external domain name cert im using is a wildcard. i just saw this step in your steps above. I mustve got confused and thought it meant an actual server name. is there a way to change this or do i have to redeploy a new appliance? and do everything again. Hi James, What I always do is that I give my XenMobile server the same hostname as the external FQDN. 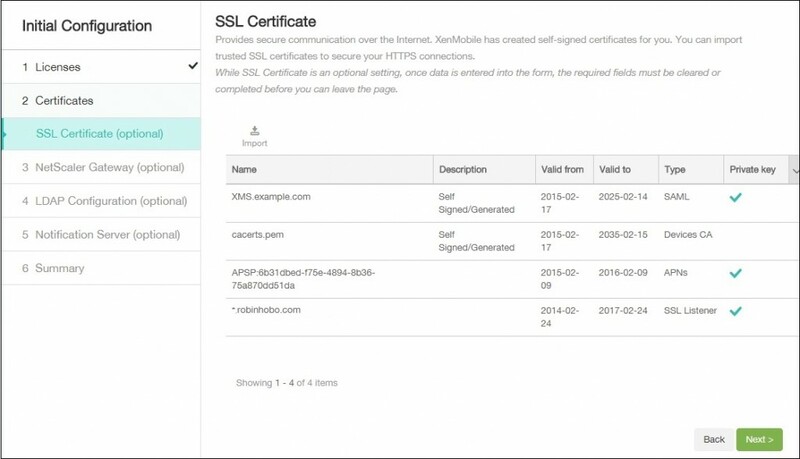 If you configure it that way you can use the same SSL certificate on your XM server and on the NS. If not, you need to install a different SSL cert on your XM server and it always must be a FQDN address. 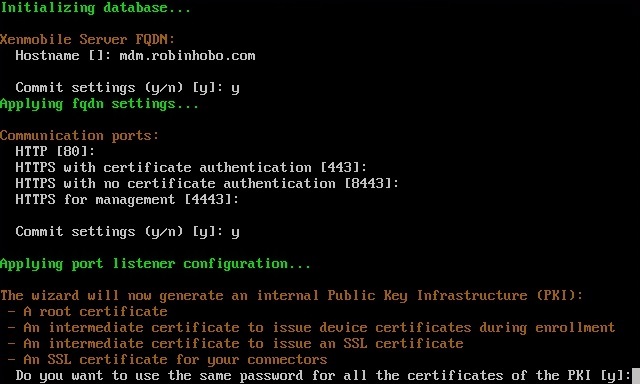 For example, my XM server hostname is; mdm.robinhobo.com. 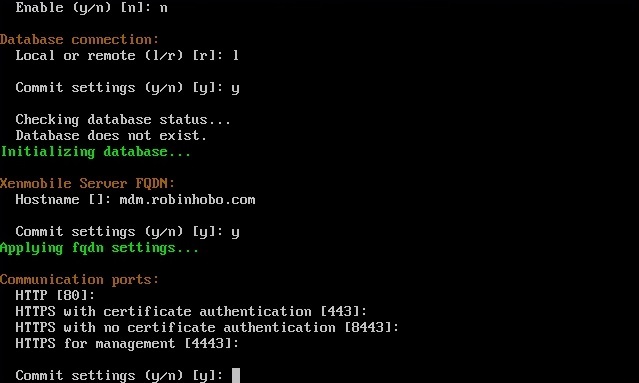 So you have an internal dns record mdm.robinhobo.com that points to your XM Server and an external dns record that points to your XM Gateway VIP.. is it? 192.168.1.43 – ?? What about this one? No. You have two external DNS records; mdm.robinhobo.com pointing to MDM LB VIP and mam.robinhobo.com pointing to NSGW VIP. On the Netscaler there is a mdm.robinhobo.com DNS record pointing to the MDM LB VIP. The NSGW is forwarding traffic to the MAM LB VIP. So the process did not get to the end. Been digging for a while and many people say the cause should be in the paths defined in file /Applications/Citrix/MDXToolkit/android_settings.txt, which I triple-checked. Any ideas/suggestions will be much appreciated! With a single certified wildcard (*. Contoso.com) DigiCert is Enough? Looks good to me! And yes wilcards are supported. Thank you for your effort – great work! It would be nice to mention that users should also configure XMS to use NTP servers, we had issues because our XMS time was different from NetScaler time. Hi Nenad, good point, NTP needs to be configured and also the timezone. Great Instruction Robin. We have an issue where we had to change the UPN for a 365 move which has broken XenMobile. Have re synced Ldap but still not working. Any troubleshooting suggestions? Hi Tont Lee, Unfortunately, I’ve heard this more often, re-enrollment is the only solution as far as I know.